At Kontakt.io we are proud to announce our new packets interleaving solution which will give you more flexibility to build beacon-enabled apps across multiple mobile operating systems. In this post we’ll outline what packets interleaving is, and what it will mean for you and your business. What is packets interleaving and how does it work? Packets interleaving means that your developers can support broadcasting multiple packets with secure connections, giving you more options than ever to enhance your Kontakt.io beacon solutions. While still able to enable only the iBeacon or the Eddystone profile, you will now have the option to sequentially broadcast both, giving you more options than ever before. The broadcasting interval applies to all enabled packets. If you set, for example, 350 ms and enable 3 packets types – iBeacon, Eddystone UID, and Eddystone URL – then each packet type will require 350 ms interval to be broadcasted. The interval of 350 ms is required to broadcast the next Eddystone UID packet. Eddystone UID packet is broadcasted. The interval of 350 ms is required to broadcast the next Eddystone URL packet. Eddystone URL packet is broadcasted after 700 ms. The interval of 350 ms is required to broadcast the new iBeacon packet. Finally the new iBeacon packet is sent after 1050 ms (1 sec). By allowing a beacon to broadcast in different protocols at the same time (though technically in sequence), firmware version 4.1 enables your beacons to reach different types of devices with different, potentially tailored messages. Now both iOS users and Android users can benefit from the same beacon infrastructure. The actions triggered might be different in the Android or the iOS app and in addition a URL might be broadcasted as well. Which beacon projects will this affect? 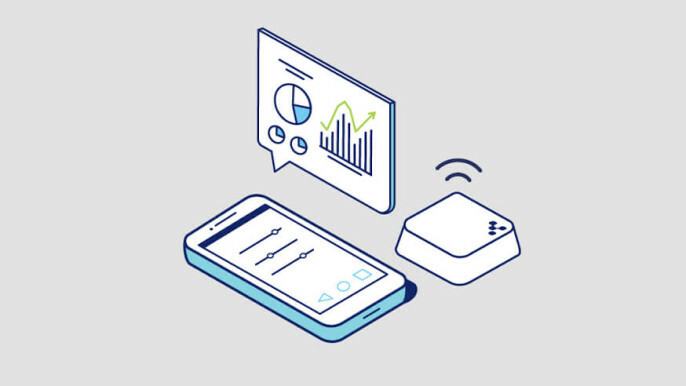 Any project in which a beacon infrastructure already exists can now be extended to use the other profile (Eddystone or iBeacon) as well as to try new applications such as the Physical Web. Having two protocol solutions require you to plan which packets types you would like to broadcast. The more packets types enabled, the more time required to broadcast the same packets type in a single broadcasting cycle. The packets interleaving solution does not have any negative impact on battery life. Packets interleaving – the ability to broadcast messages of different packets formats in an interleaving fashion – gives you all the options so that you can effectively manage your proximity solutions. Don’t forget to upgrade to firmware version 4.1 if you haven’t already. Find out how to here. We recommend doing so as the new firmware is even more stable, and the upgrade itself does not force you to broadcast in other profiles – it just gives you the choice. If you have more questions about the packets interleaving solutions, would you mind reaching to our support at support@kontakt.io?